Evelyn Stone Bryan Johnson (4 November 1909 - 10 May 2012), nicknamed "Mama Bird", was the female pilot with the most number of flying hours in the world. She was a colonel in the Civil Air Patrol and a founding member of the Morristown, Tennessee Civil Air Patrol squadron. She was a graduate of Tennessee Wesleyan College. As a young woman, she taught school in Etowah, Tennessee. Later she attended the University of Tennessee. She later married Wyatt Jennings "W.J." Bryan a member of the US Air Corps and learned to fly in 1944. In 1953 she became manager of the Moore-Murrell Airport in Morristown, Tennessee. 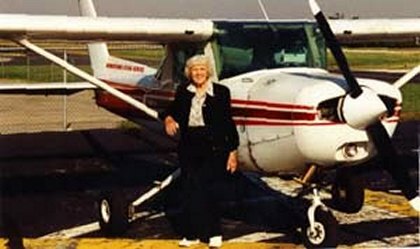 Evelyn flew into her 90s despite developing eyesight problems and only quit at 96 after a car accident on 10 September 2006 resulted in her undergoing a leg amputation. Evelyn was inducted into the Women in Aviation Pioneers Hall of Fame, the Tennessee and Kentucky aviation halls of fame and others. She was awarded a bronze Carnegie Medal for rescuing a helicopter pilot after he crashed. 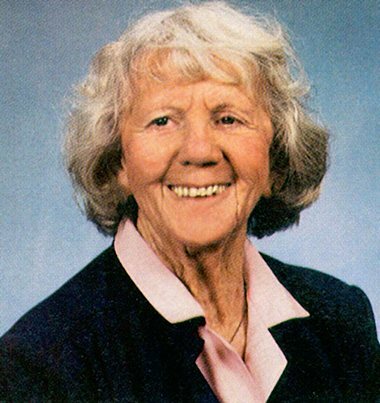 On 21 July 2007, she was inducted into the National Aviation Hall of Fame in Dayton, Ohio, alongside astronaut Sally Ride and adventurer Steve Fossett, among others. The induction was her sixth such honour. Between her first solo flight on 8 November 1944 and her retirement from flying in the mid-1990s, she had logged 57,635 hours (about 6½ years) in the air, flying about 5,500,000 miles (8,856,683 km). Only one person, Ed Long (1915-1999), had logged more hours (over 65,000, or about 7 years) in the air during a lifetime. She also trained more pilots and gave more FAA exams than any other pilot.